In a post entitled The saddest thing, a third year medical student completing her obstetrics rotation shares her incredulousness that women refuse appropriate obstetric care because they are more worried about the “cascade of interventions” than they are about the health of their own baby. Or perhaps, having read and believed the crap that is offered as “knowledge” within the homebirth community, the mother simply didn’t realize that she was allowing her baby to slowly asphyxiate. A couple came into the triage area (kind of the ER of the maternity ward) while I was on call on Sunday night. They were relatively normal, educated, middle-class people who had come into the hospital at the insistence of the midwife who had been supervising the woman’s labor. The couple arrived and said something about her having “a lot of meconium (baby poop),” and it was clear they didn’t want to be there to the extreme. The mother refused to be touched by the doctors, refused a check of her cervix, refused IV access, and refused a fetal heart monitor. The reason for the refusal was simple to her: she wanted a natural birth. She thought if she allowed one medical intervention, it would lead to another, and another, and another (which, given her condition, was accurate). She had another child and she and her husband felt so robbed of the natural birth experience that they wanted to do everything in their power to have that experience. Everything. Because of multiple risk factors, the mother had found a non-nurse midwife to attend her at home. … The couple in the story here wanted a midwife, so they tried to get cleared for the birthing center attached to the hospital (they’d have a nurse midwife). Unfortunately for them, the mom was turned down, deemed too complicated, and rightfully so. She had conditions can still have a normal birth with no epidural, but their deliveries should be in the maternity ward with monitoring. She and her husband were ticked that they were turned down, so they said, “Forget this, we want to do this our way.” And so they went against all medical advice, hired a lay midwife, and prepared for a home birth. The couple eventually acquiesced to an assessment of the baby. When the couple in triage finally allowed a fetal heart monitor to be strapped to the woman’s belly, everyone freaked out. The heart rate was in the 90s. Normal fetal heart rate should always be over 120, under 110 is cause for alarm. The nurses told the couple that the heart rate was too low and the baby wasn’t getting oxygen, and they tried help. But she would not let them touch her. Then the heart rate fell again. The senior resident was called in a panic. 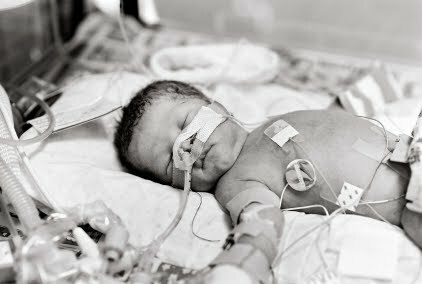 This heart rate is bad, bad, bad; the baby isn’t getting enough oxygen and it is dying inside of the mother’s womb. Let the baby sit with that oxygen level, and the best case scenario is that it winds up with cerebral palsy if not brain dead or actually dead. This was explained to the parents, multiple times, by every single person who tried to care for them. Yet, still insistent on that natural birth, they kept resisting care. The parents continued to refuse medical care. Because the baby’s heart rate kept dropping—and nobody knew how long the heart rate had been down to begin with—she went straight to the OR to get the baby out. And yet, both of them continued to refuse. As the heart rate dipped into the 70s, the mother refused to get onto the OR table. Eventually, after much forcing the fact that this baby’s life was in danger and it was almost 100% surely brain damaged already, they consented. The baby came out blue (or so I am told, I was not in the OR for the delivery). It’s first APGARs were close to zero (normal babies come out at 8 or 9 out of a possible 10). The poor thing required chest compressions to try to get it breathing, and later had a seizure. In the aftermath, the medical student is shocked to discover that homebirth advocates often refuse to take responsibility for their own actions. Indeed, they often try to blame the very people who saved the baby from parental ignorance and stupidity. A few hours later, the nurses reported that the mother was starting to get emotional and upset that she wouldn’t be able to take her baby home in a couple of days. Then she and her husband both started to insist that nobody had told them the gravity of their baby’s condition. Yeah. I know. That’s why the documentation. And even though what was happening and the seriousness of the situation were explained over and over, these people are going to continue to insist that the outcome isn’t their fault. Even if they know that it is entirely their fault, they are never going to tell their family or friends that. I wouldn’t want too, either. It’s a really daunting thing to carry that weight around—to know that you personally killed or disabled your child because you refused care that people smarter than you said was necessary—for the rest of your own life, much less face coming clean to the friends and family who have watched you carry a healthy baby for 9 months. … Their baby has made it one day longer than the NICU pediatricians were expecting, but my understanding is, the baby’s not really improving. The most daunting part of this is that if she goes home with her parents, it will be months, if not years, before anybody knows the true extent of the damage done. The medical student is horrified. I had a planned out of hospital birth, but I listened to my CNM and went to the hospital. I hired her to look after our safety, and I don’t regret my decision. I get flack from the natural birth community all the time, for giving into this “cascade of interventions”. This crap makes me sick. Now I have a beautiful toddler that is thriving and stood up at only 6 months. She’s doing better than fine, interventions and all.